The understanding and the trust between the married couple would be the most important aspect to lead a happily married life Everafter. The wives would appreciate the sensible hubbies that take out time from their busy schedule to help the wives and respect her opinions in every matter. 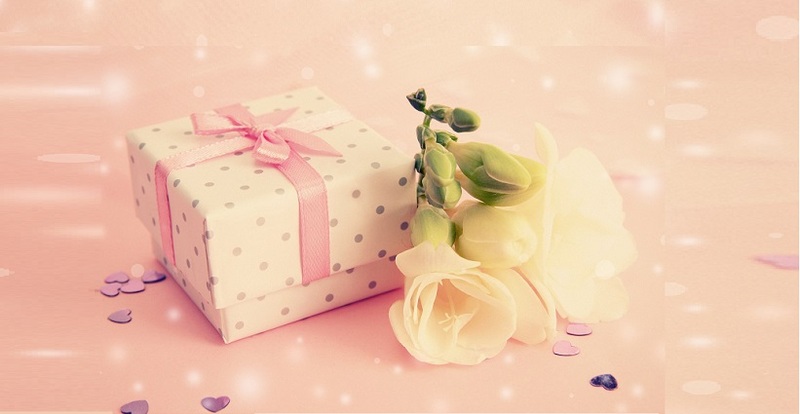 The wives can express their love and gratitude for the hubbies sending them the most fabulous gifts exclusively made for them. 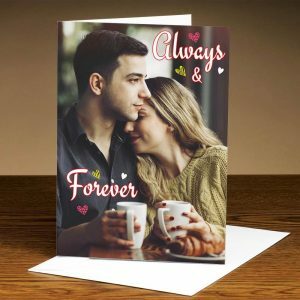 Always & Forever Photo Greeting Card: The excitement of the expression of true love can be enhanced through the greeting cards. This greeting is printed with the photograph of the happily wedded couple along with the text message implying their emotional unity on the cover page. A personalized love message for the husband would also be printed inside this card. 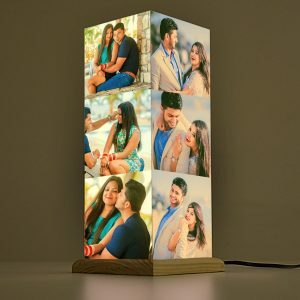 Personalized Wooden Photo Lamp: This lamp is made of the acrylic surfaces and a wooden frame and base, inserted with an LED lamp. The photographs of the couple would be printed on the four sides of the lamp on the acrylic surface. Thus, this can be among the perfect Personalized gifts for husband that make them feel excited. This can be a great home décor article as well. Personalised Mug With A Twist: This can be the most appealing gift ideas for the husbands that are fond of enjoying every happy moment sipping their favorite chilled beer. 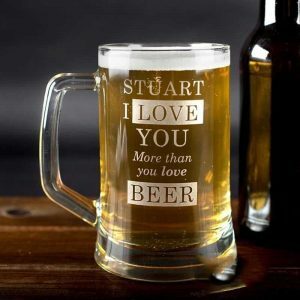 This beer mug is printed with the name of the beloved hubby and the message that tells him that his wife loves him more than he loves the beer. This mug makes the feel the warmth of the wife’s love while drinking beer using it. 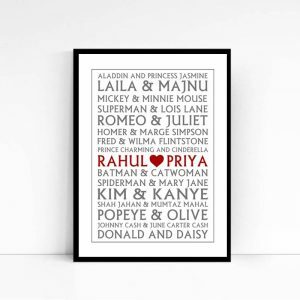 Personalised Between Popular Couples Poster: This A4 size poster adds the names of the couple between the most popular couples whose love stories are renowned across the world. The names would be provided by the wife ordering this gift for the beloved husband. This frame can be hung on the wall in the living room or bedroom or even can be decoratively preserved in the showcase. 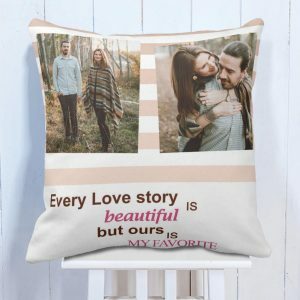 Personalised Love Story Cushion: The wedded couples would be passionately in love and their love story would also have some unique factors. This cushion gift presents the feeling in an interesting way. Two photographs of the couple and a message are printed on the square-shaped fluffy cushion. This would be a wonderful idea to make the hubby feel loved.